What do you use to keep your youngest child's hair out of their eyes while they eagerly await the Hogwart's Express on Platform 9 ¾? It can't be a Slytherin headband, nor a Hufflepuff one—your child hasn't been sorted yet! This Harry Potter Hogwarts Headband, then, is the ideal accessory for her earliest witching days and can be worn from the very moment she gets her Hogwarts letter, to shopping in Diagon Alley, to boarding the train and buying her first chocolate frogs from the trolley! 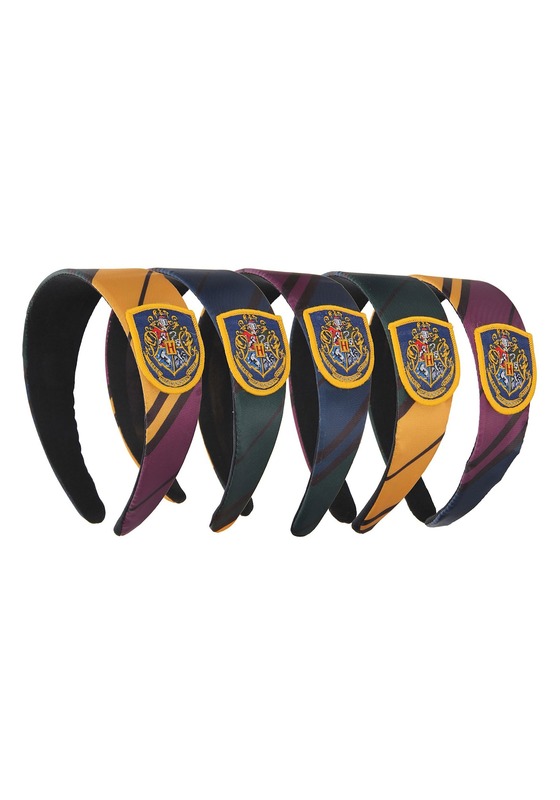 She'll love getting to show off her Hogwarts flair, and you can add one of our house-specific headbands into the rotation once the Sorting Hat has made its decision! 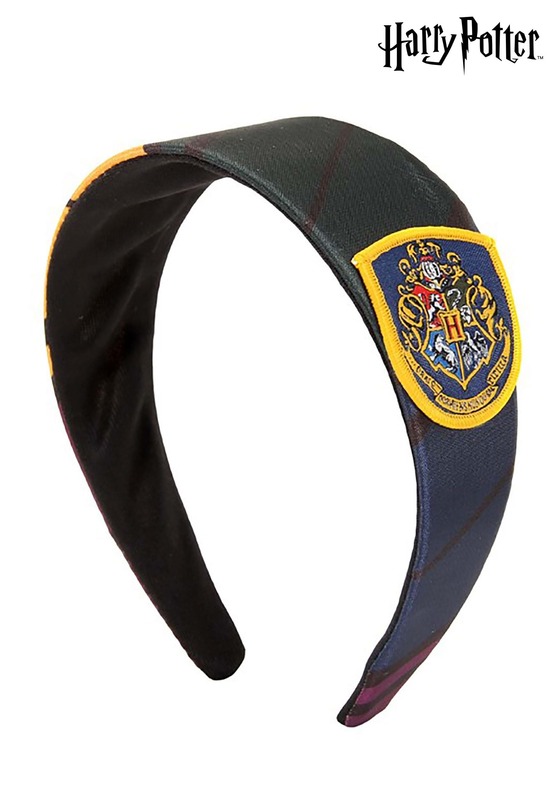 This is a licensed and official Hogwarts headband, with the school crest embroidered on a patch on one side. It will look perfect over school robes for the start of term feast in the Great Hall, or later down the line over a winter cloak for a trip to Hogsmeade. Just know, they don't sell these cool Hogwarts headbands at Madame Malkin's Robes for All Occasions, so you best pick one up here. It will appear at your door, like magic!